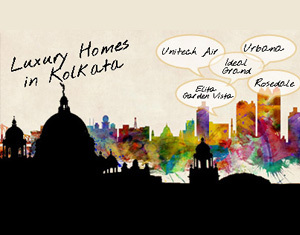 The North, the first premium residential high-rise in North Kolkata, is all set to change perceptions about the area. Located on B.T. Road, in Cossipore, The North will set a standard that will define lifestyle in the area in years to come. 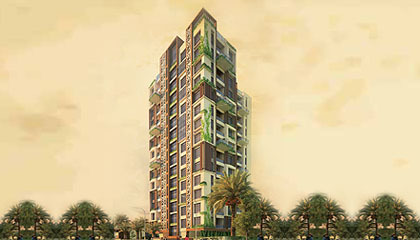 This G+14 multi-storey apartment comes with 3BHK and 4BHK flats. With three flats on each floor and three sides open, these apartments offer luxurious, modern-day living at an affordable price. Flats on the 7th, 10th and 13th floors have a private terrace. All apartments are 'Vaastu' compliant. Enriching lives of people had become a deep felt desire with Keventer Projects. It has also earned an ISO 9001:2008 certification. The Group's pursuit of excellence in setting benchmarks in the real estate development, its partnership with top contractors and comprehensive on-site training for workers has endowed Keventer with a reputation as a clean, reliable and trustworthy brand. NRI's can make the booking now in FEW EASY STEPS. 1. Identify your apartment: Our Property Advisor will assist you with full details of the project, viz. Floor Plan, Application Form, Cost Break Up, Payment Schedule and other details. 2. Fill up the Application Form and send the same to our nearest office along with the payment of the booking amount. Rest as per payment plan. You can also opt for easy instalment scheme and book your property. 3. Upon clearing of the cheque, you will be sent the Money Receipt, Sale Agreement/Allotment letter. Cheques/Drafts to be issued in favour of developer. If you require site visit by friend or relative, it can be arranged within 24 hours. CALL or send ENQUIRY and our property advisor are available 24x7 to answer your queries and assist you in booking of your property. NOTES: The developer reserves the right to alter/enhance the above mentioned additional expenses. The amount mentioned here are indicative. Internal Finish: Plaster of Paris/Cement, Putty/Lime Wash on all internal surfaces except where there is title or stone cladding. b) Internal door: Flush doors primered with accessories. e) Toilet: Anti-skid ceramic tiles flooring. Glazed tiles up to 7ft. i) Covered carparking: Covered car parking space to be paved with crazy mosaic/cement tiles.